AQUA PRO is a probiotic feed supplement specially formulated for irreversible binding of a wide range of pathogens. It improves fish growth and immunity. 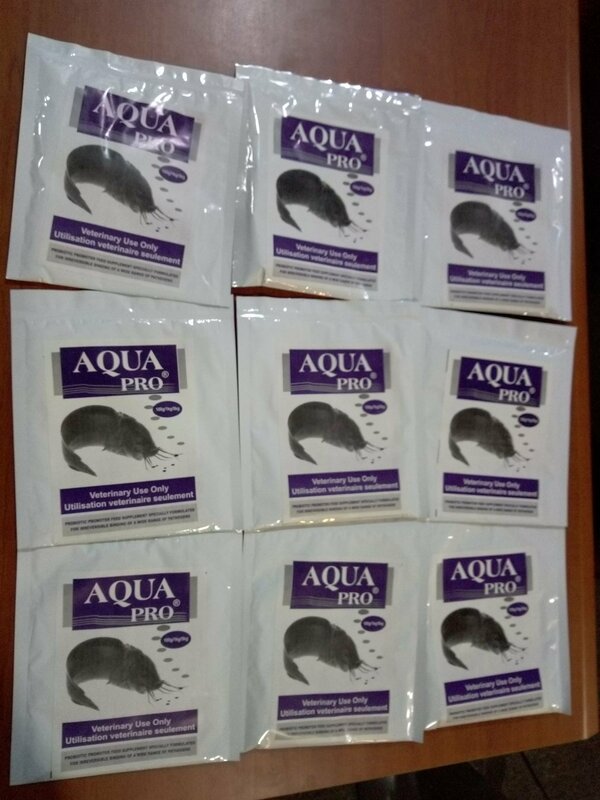 AQUA PRO feed supplement specially formulated for the irreversible binding of a wide range of pathogens in the fish gut. It helps prevent re-infection, thereby increasing overall fish quality and productivity. 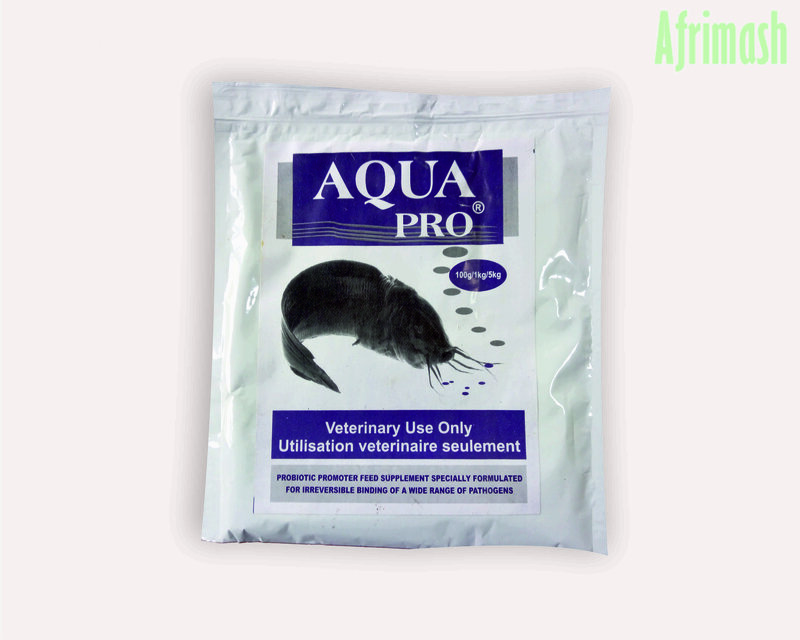 Probiotic promoter feed supplement specially formulated to improve fish growth and immunity. Aqua Pro establishes desirable intestinal microbial balance, giving the beneficial bacteria an upper hand against the pathogenic bacteria. Thus, this formulation creates a probiotic environment that promotes early intestinal maturity, leading to improved absorption of nutrients and consequently improved production. 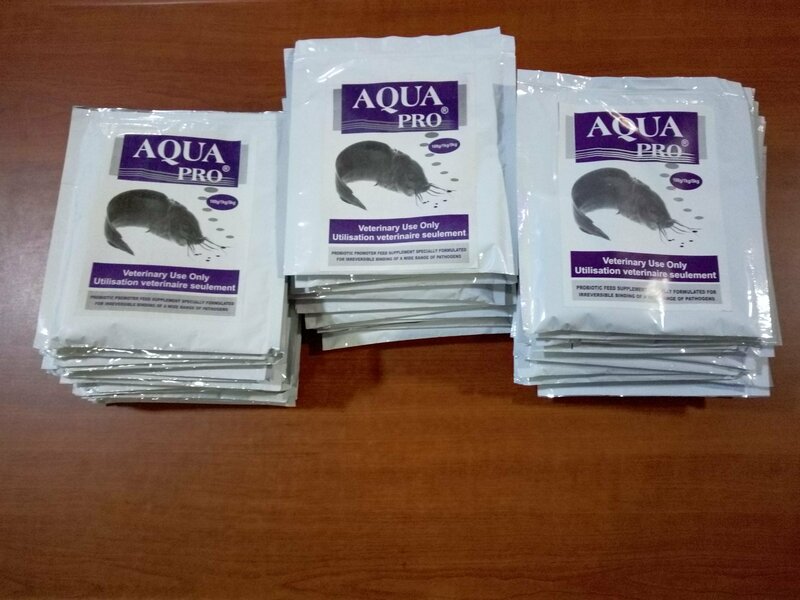 Aqua Pro improves feed conversion ratio as well as weight gain in all stages of fish growth. Reduces disease outbreak and mortality in fish. 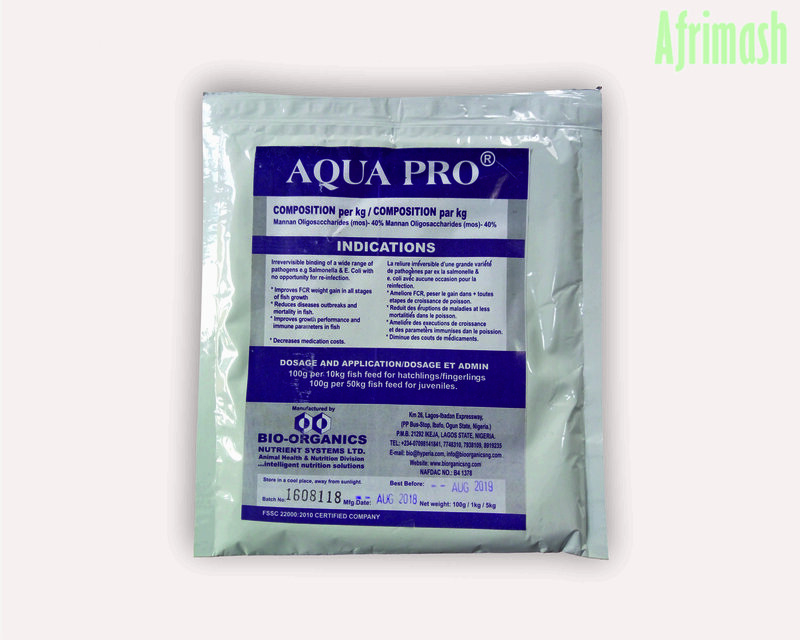 Consequently, Aqua Pro decreases medication costs. 100g per 10kg fish feed for hatchlings and fingerlings. 100g per 50kg fish feed for juveniles. At Bio-Organics Nutrient Systems Limited, we pride ourselves as an intelligent nutrition solution. Our Animal health and Nutrition Division seeks to empower the livestock industry with vitamins, minerals, and trace elements technology.